This semester Alpha Phi Delta's largest chapter grew by nearly a dozen! 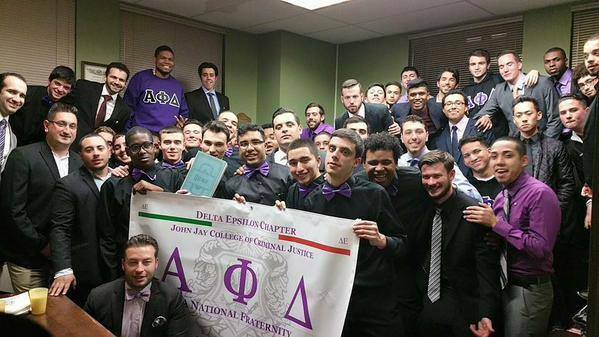 Our Delta Epsilon Chapter (John Jay) initiated eleven new brothers on April 26th, 2015. Amongst those eleven new brothers was the chapter's 100th brother since its 2009 reactivation. According our Central Office records, there are, as of April 26th, 67 undergraduate members in the Chapter. Congratulations! 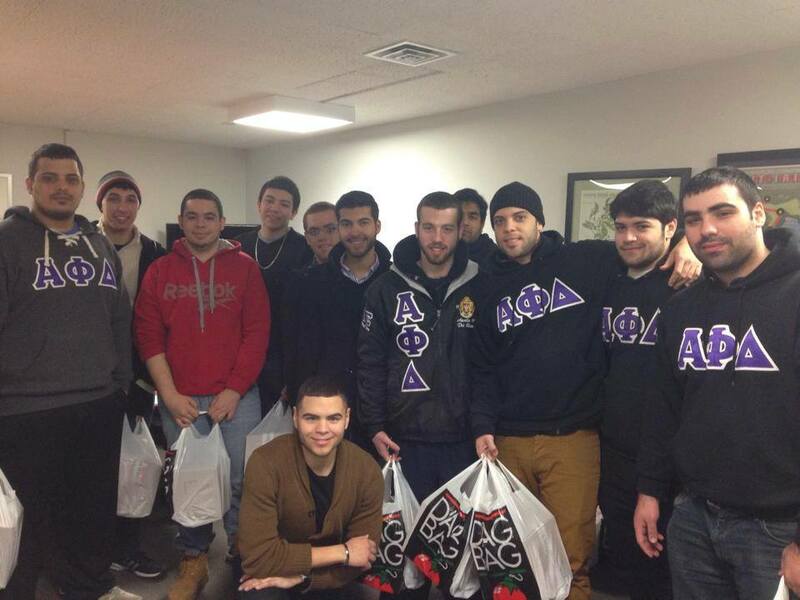 On Thursday morning, February 12, 2015, the brothers of Delta Epsilon (John Jay) lent a hand to those in need. A dozen-plus brothers generously gave their time to gather and give food to those unable to get meals for themselves by partaking in the Meals of Wheels program. 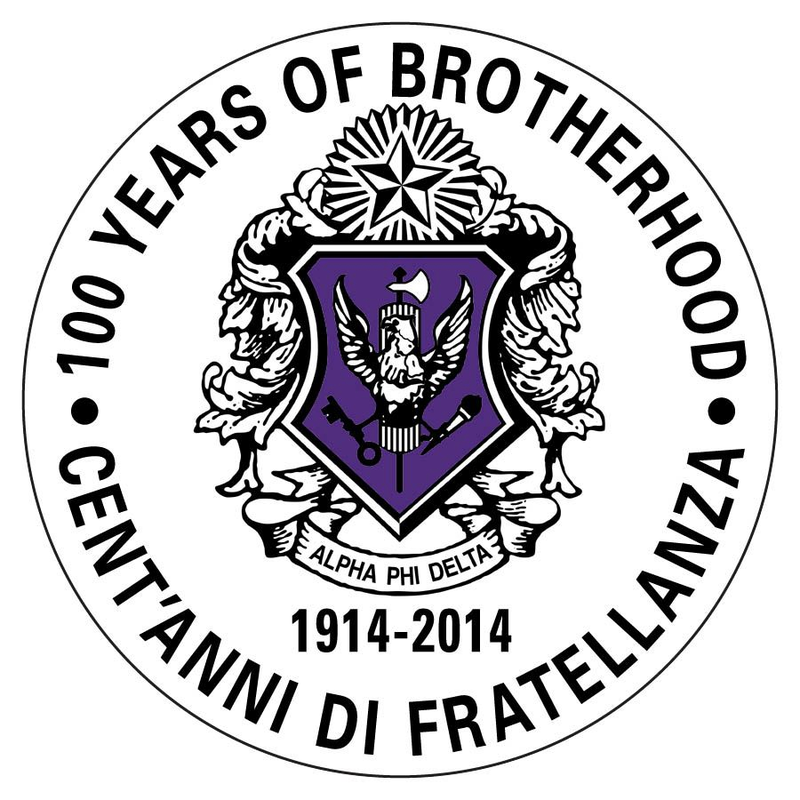 This charity event proved to be a great success for the Delta Epsilon Chapter, and they look forward to continuing to do their good work in the name of Alpha Phi Delta. Faciamus! The brothers of Delta Epsilon Chapter shown here having a "wheelie" good time helping those in need via the Meals on Wheels program. For information about John Jay College of Criminal Justice, click here. Thomas Lolos is the President of our Delta Epsilon Chapter. Alpha Phi Delta Fraternity's National Council has allowed students of John Jay College of Criminal Justice to join our fraternity since February 14, 1992.